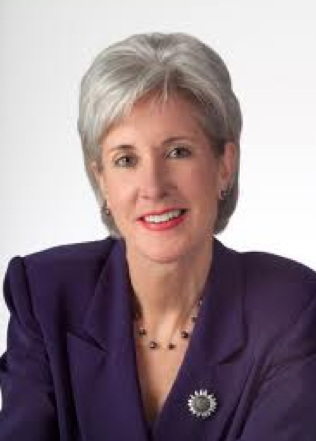 The pro-choice groups are understandably up in arms over HHS Secretary Kathleen Sebelius’ decision to overrule the FDA and prohibit the “morning after pill” from being available over the counter to minors. By now, they have issued their press releases condemning the action and personally castigating President Obama. Some groups, like Physicians for Reproductive Choice and Health have been particularly aggressive, which is part of their relatively new effort to convince others that they are now a leading advocacy organization (i.e., “please send us money because we’re really fighting for you”). But I digress. The day after the decision the President – the pro-choice president – said that he agreed with Sebelius, expressing concern that a young girl might not use the medication properly. Suddenly, he was the Father in Chief, clearly thinking about thirteen year old daughter, Malia. I am going to assume that Obama knew what Sibelius wanted to do. I mean, c’mon folks, do you really think that she would make that kind of decision without discussing it with the President? So, if you accept the assumption that they discussed it before hand, the question then becomes was Obama’s decision to support Sibelius based on science or politics? Actually, that question is too simple. It suggests that the President or any other politician only examines an issue from one perspective. But the President (and some of those other politicians) is actually a smart guy and he can analyze an issue from several perspectives. Heck, he does it all the time. From the substantive point of view, he is a father first. He’s got two young daughters who may soon be having sexual thoughts. And Obama clearly had to be thinking about the possibility (although highly unlikely) of his daughters going down the drugstore one day to get a box of these pills. Then, he must have envisioned them in a state of panic taking the wrong dosage or not being physically capable of taking the drug. He must have projected his fatherly perspective to the thousands and thousands of other fathers (and mothers) who might ultimately be in the same situation. Then there was the political side of the issue. It’s no secret that it will be a tough re-election and he has to woo a number of interest groups, including the Catholics and independents. 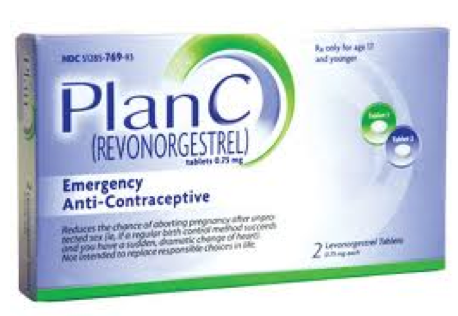 The problem is that many, if not most, Catholics believe these pills cause an abortion. 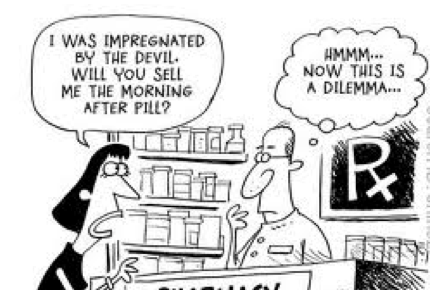 Now, if they really thought it through, versus simply taking marching orders from a virgin Pope, they would realize that the pills actually prevent an abortion on a developing fetus. But that’s another story. Meanwhile, Obama must have dreamt about the commercials from Newt or Mitt painting him as promoting promiscuity among little teenage girls (cue the dark foreboding music). Continuing his political analysis, there is his relationship with the pro-choice groups, which has been somewhat strained because of the health care “surrender” and a few other issues. He certainly knew that he would piss them off if he supported the Secretary’s decision, but he is also smart enough to know that the pro-choice groups have no place to go. Let’s face it, they cannot support someone who wants to reverse Roe v. Wade, so pro-choicers would have to at least vote for him. The calculated risk he took was whether or not he would make them less enthusiastic about his campaign? Would they withhold money from him, not work on the campaign, not run independent commercials like they did in 2008? He probably concluded what I would have concluded: that when they hear the Republican nominee talking about banning abortion and the polls are a dead heat, they’ll forget this little tussle and will jump on the bandwagon. His position on this controversial issue is risky and it’s hard to say whether substance or politics ruled the day. But we need Obama to be re-elected so, as much as I hate to say it, I think he made the right decision.